Adaptive re-use saviour of the C&D CBD grade office market? 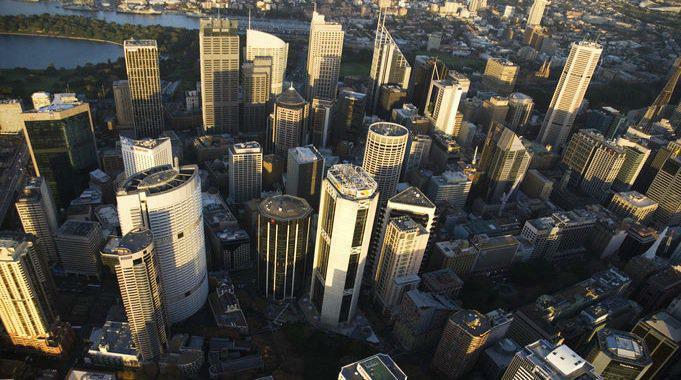 Latest research shows vacancy in Australia’s CBD office towers is at a staggering 11.3% - its highest level since 1999. Five of the six CBD office markets are showing double digit office vacancy rates and the latest Property Council of Australia Office Market Report shows vacancy rate increases in either C or D grade stock (or both) across all state capitals apart from Canberra. Analysts are predicting that these rates are likely to rise by the end of the year and potentially increase further with weakening economic conditions, modern corporate working trends, and the completion of major developments, such as Baranagaroo in Sydney on the horizon. In stark contrast, the residential sector is showing positive signs, with recent figures showing national sales at their highest since 2009/20010 in Sydney and Melbourne respectively. The latest ‘Housing Outlook’ research from BIS Shrapnel also predicts house price growth across all state capitals by 2016, with high double digit growth predicted for Sydney (19%), Brisbane (16%) and Perth (17%). Pent-up demand and low interest rates are the driving force behind the recent results and we are finding developers in many states moving quickly to get projects going to take advantage of the forecast growth and the strong demand for prime CBD apartments from Asian investors. With the macro-economic stars aligning, we are also increasingly finding that innovative owners and developers are considering converting their C and D grade office space into residential units as the financial returns are becoming more attractive. We predict that the ‘adaptive re-use’ of office space could be the saviour of the C&D CBD office market over the next decade. Conversion – retaining as much of the existing structure and external fabric as possible. Which option has the lower capital cost / m² net saleable area? Which option has the lower development risk profile? Which option creates the greater net saleable area? Which option will lead to the lowest sales risk? Building Shape – the main conversion risks are around deep floor plates, which are not suitable for residential space planning, and spatial issues with fire engineering suitability, depending on the building shape and unit configuration. Building Height - high rise buildings usually require more serious consideration of retention as the cost of demolition is significantly higher that mid to low rise structures. Conversely medium rise structures may present an opportunity to add additional floors within the same height/massing. Building Envelope – outdoor space (or lack of it) is a conversion risk. Residential buildings often require outdoor space, such as balconies or terracing and the provision of either will usually involve significant façade or roof alterations. Structural Issues/Constraints - the potential for additional floors to increase net saleable area is a major conversion opportunity as structural frames and foundations designed for commercial office loadings often have spare capacity. However, one of the major risks with residential conversion is whether there is a basement and what it can be used for. Where car parking is important, office basement space can be carefully evaluated for re-use. Options for car stackers are worthy of consideration. Alternatively, there may well be the ability to create leisure facilities. ‘Adaptive re-use’ presents major opportunities for innovative owners and investors to maximise returns but the risks can be high. Robust and early commercial and technical advice should always be sought to enable the cost, time, value and risk analysis to be appropriately carried out. With building lease profiles a potential stumbling block to redevelopment, owners and investors should seek advice early to enable strategic planning to occur over the short to medium term. Tim Turpin is one of Thinc’s founding owners and the Regional Manager for NSW and National Client Manager for the Private Sector with particular expertise in the commercial market sector.